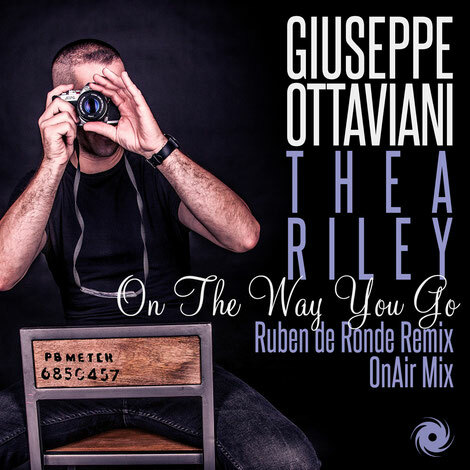 One of the tracks from Giuseppe Ottaviani's ‘ALMA’ album, ‘On The Way You Go’ jumps back into focus this month, spurred by two new interpretations from Statement! honcho Ruben de Ronde and Giuseppe himself. With a wistfully longing song (written and performed by Thea Riley) at its core, ‘On The Way’s album original brought a complexion of shimmering air-spun melodies, backed by a more composed tempo. Through one of his trademark OnAir uprocks, Giuseppe passes those elements through a different lens. Pace, bass and beat collectively throw their shoulders to its wheel, while ‘On The Way’s harmonies are allowed to soar higher and curve further. Ruben de Ronde checks the tempo a touch, while deepening the drums’ resound and drawing out its drops. Adding extra effect, its acidic churn focuses on the dancefloor, as Thea’s vocal is looped and chopped throughout.